Transmutation of marital property is a means by which property loses its original character over the course of a marriage. An example of transmutation is when married couples purchase property with separate funds but title it jointly. Transmutation may also occur by placing separate property in the names of both spouses pursuant to Tennessee Code Annotated 36-4-121. Cathy C. Phipps V. William Phipps is a case involving the transmutation of property the facts of which being William Phipps (Husband) and Cathy Phipps (Wife) were married in March 1973. Two children were born of the marriage, while a third child was adopted. In January 2012, Wife sought a divorce after nearly 39 years of marriage. Prior to their marriage, Husband served in the Vietnam War. A few months before the Wife filed for divorce, Husband received a $125,399 lump sum benefit from the Department of Veterans Affairs (VA) awarded as a result of his exposure to Agent Orange during his service in Vietnam . The award letter stated that a portion of the retroactive benefits was attributable to the Husband’s marriage status. The benefits were automatically deposited into the couple’s joint checking account. However, Husband and Wife later purchased a certificate of deposit in the amount of $110,000. Husband testified at trial that he purchased a certificate of deposit with Wife because he wanted her to receive the benefits when he died. He explained that he thought he was dying on more than one occasion when his health drastically deteriorated in 2011. He acknowledged that the way in which they purchased the certificate of deposit allowed Wife equal access to the money. 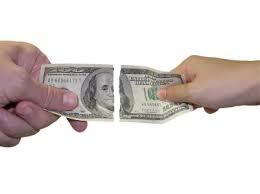 Following the presentation of the evidence, the trial court granted the request for divorce classifying the $110,000 certificate of deposit as marital property as a result of transmutation and thusly divided the CD between Husband and Wife. Husband appealed the trial court’s ruling arguing that his VA benefits were not subject to division because they were never transmuted into marital property. He explained that he purchased a certificate of deposit with the VA funds solely to ensure that the funds would transfer to Wife in the event of his death. He noted that he did not transfer the amount that was attributable to his Wife because he sought to separate his benefits from Wife’s portion. Wife responded that Husband failed to present evidence indicating an intent that the property should remain separate when the property was used to purchase a joint certificate of deposit that allowed her equal access. Because Tennessee is a “dual property” state, again pursuant to Tennessee Code Annotated 36-4-121, a trial court must identify all of the assets possessed by the divorcing parties as either separate or marital property before dividing the marital estate. In other words, separate property is not part of the marital estate and is therefore not subject to division but a marital assets is subject to division. While the retroactive VA benefits were awarded for Husband’s service prior to the marriage, Husband used the funds to purchase a joint certificate of deposit with Wife, thereby creating a rebuttable presumption that the certificate of deposit was marital property. Husband argues that he only intended for the funds to transfer to Wife upon his death. However, the certificate of deposit allowed Wife equal access to the money throughout Husband’s lifetime and required both signatures for either party to access the money. Husband simply submitted no evidence to establish that he ever intended to keep the retroactive VA benefits as his separate property during the marriage. On the contrary, Husband’s intent to keep the benefits as his separate property surfaced only after the demise of the marriage. Accordingly, the evidence supports the determination of the trial court that the certificate of deposit purchased with the VA benefits was marital property. As such, the appellate Court affirmed the trial court’s ruling that the $110,000 certificate of deposit had indeed been transmuted and was marital property. If you are going through a divorce, making equitable decisions as it relates to your assets and marital property should be top of mind. Contact attorney Jim Widrig or any of the attorneys at Widrig Law PLLC to schedule a free consultation. Our phone number is 615-417-7800.